... the most helpful Markdown editor for professional, efficient HTML editing. Why MarkUpDown to edit Markdown? Tools to help you learn Markdown. Keyboard shortcuts once you're a pro. Easy Actions make editing effortless. Upload public images for free hosting on imgur from inside MarkUpDown quickly and painlessly. MarkUpDown is an editor specialized to make creating Markdown code easy for beginners and experts. With helpful toolbars for beginners, GitHub Flavored/Multimarkdown table support, and keystroke shortcuts & Easy Actions for the expert, MarkUpDown is ready to help anyone create perfectly formatted Markdown files. 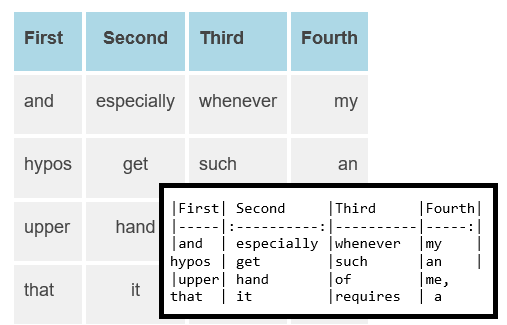 If you're new to Markdown, MarkUpDown will hold your hand as your learn Markdown syntax, ramping you up as quickly as you're comfortable. If you're already an expert, MarkUpDown's Easy Actions will make markup flow from your fingers even faster. You'll keep your hands on your keyboard longer, and that means you'll spend more time typing, not tagging. Click here to get MarkUpDown release announcements! If you're new to Markdown, you're in for a treat. 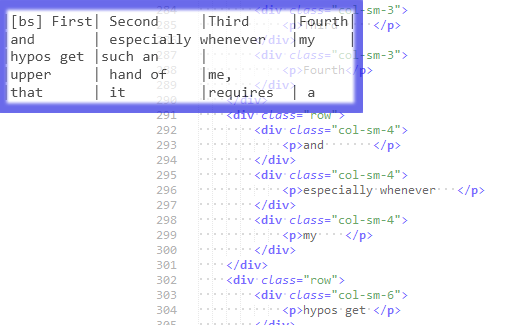 It's a shorthand for creating HTML code that's actually human-readable! * Please note that MarkUpDown is not affiliated with, nor known to be endorsed by, John Gruber or CommonMark.org. Both are off-site resources about Markdown, the markup language.